Healthcare is the most sought-after topic of our BEC Seminar series. Does my insurance cover tooth fillings? What are the compulsory vaccinations? How can I get assigned to a specialist? Our invited experts will be discussing the specifics of the Czech system, insurance for expats, as well as problems with finding assistance when foreigners do not speak Czech. Whether you are an employee or a freelancer, EU resident or not, have public or private health insurance, we will provide valuable information for you. We all need medical assistance at some point. It is better to be prepared. 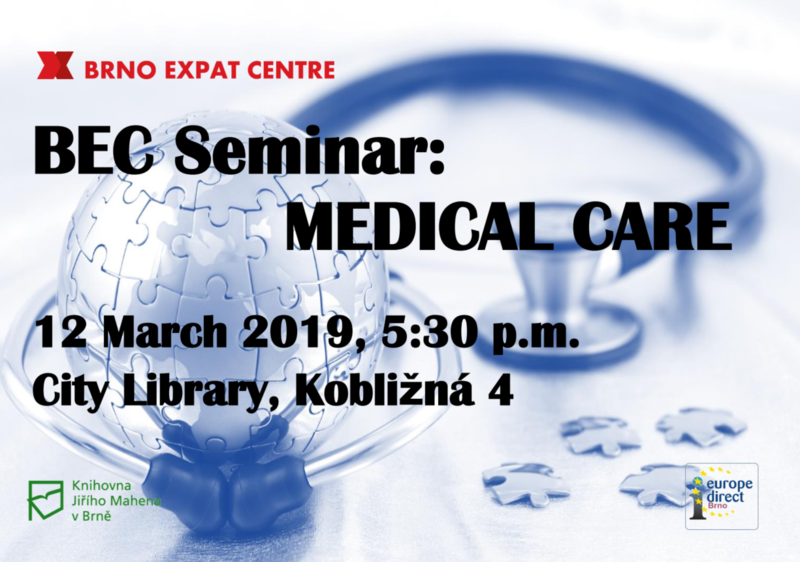 The seminar is free of charge for attendants registered with the Brno Expat Centre. By attending a free public event organised by the Brno Expat Centre I hereby give my consent to the use of photos from the event which may contain my likeness. These may be used in BEC documentation and promotion materials.